We spend almost a month in Laos, officially named Lao Peoples Democratic Republic (PDR). We loved our time there and spend most if it in the mountainous and slightly cooler north. 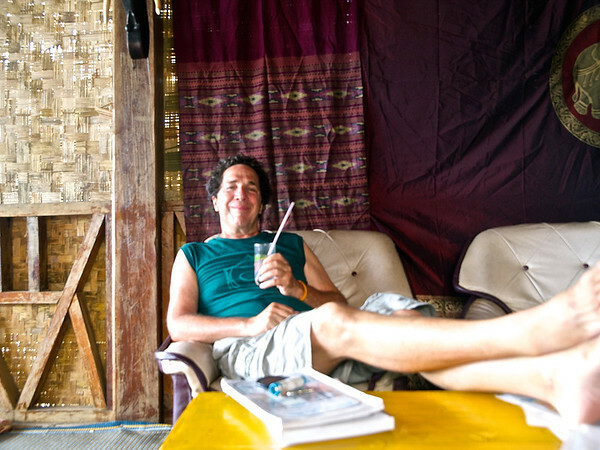 I put together a tentative itinerary not long before we left Thailand. As usual, it changed frequently as we learned and adapted to suit our travel tastes. 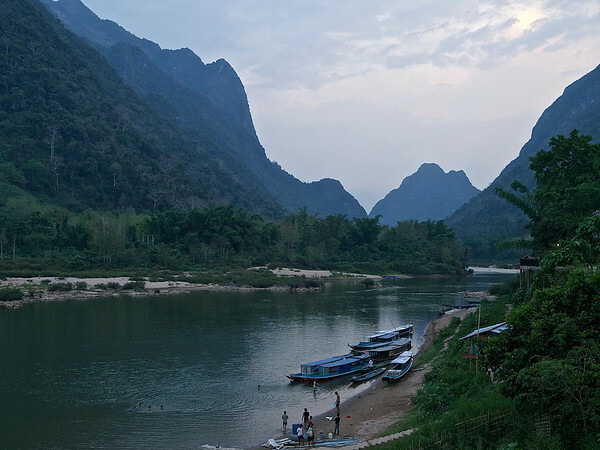 Lao is no longer completely off the beaten track but parts of the north still see few tourists. Also, we went at the beginning of low season so we never had problems with big crowds, even in Luang Prabang. Here is our review. 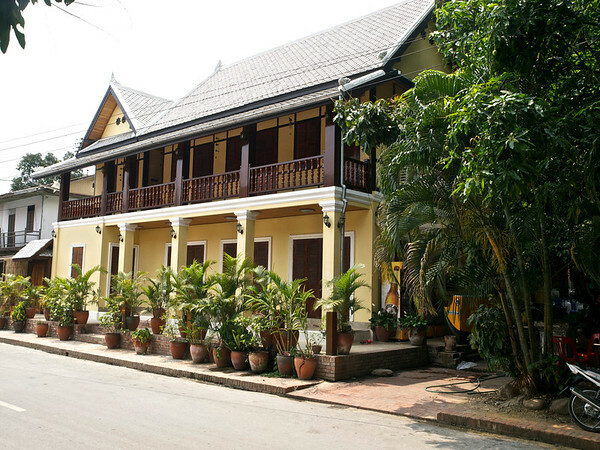 We flew direct from Chiang Mai, Thailand to Luang Prabang. This is an easy one hour flight on a twin prop. For the most part Lao Airlines is your only choice for flying in Laos and it is slightly higher than say Air Asia. Our tickets ran about $130 each. The service was nice, we got a small meal and the stewardesses were stunningly beautiful (even Anna commented on this last point). We spent several days exploring the World Heritage Site and the surrounding area. Next, we traveled two days up the Mekong River to Houay Xai where we spent the night before taking a rough minibus ride to Luang Namtha. A few nights in Luang Namtha were lovely. We also did a jungle trek. We did not do the three day Gibbon Experience as originally planned. This was a tough decision as it had appeal. However, reviews were mixed, prices have gone up and according to some accounts none of the money actually goes to the villagers that are supposedly helped by this. I cannot verify any of this. But two nights in a primitive treehouse and $600 for unlimited ziplining just did not seem justified. Part of the $100 for our trek on the other hand, went directly in fees to the local village that provided our guides. Another seven hour long bus ride through some beautiful countryside brought us to the river town of Muang Khua. We stopped twice so the driver and a couple of women could buy about 100 watermelons from roadside vendors. I think they resell them in Viet Nam…who knows. We crashed at a basic guest house for about US$6, since the daily boat leaves at 9:30 am. Some good noodle soup was had for 10,000 kip each (about US$1.20). Next came a 3.5 hour stunning boat ride to Muang Ngoi Neua with comfortable bucket seats—100,000 kip (about $12.50) each. Our stay in this beautiful town, reachable only by boat, was easily a highlight of northern Lao for us. Another 90 minute by boat brought us to Nong Khlaw. We had planned to spend a night or two here as well but the place we wanted had already closed for the season. Instead we walked across the street to a waiting bus. Four hours of very bumpy road brought us back to Luang Prabang. Unfortunately, one can no longer go by boat to LP as the Chinese are billing a damn dam. We did not visit the Plain of Jars next as originally planned. It is a six hour bus ride each way from LP and we were bussed out. I am really interested in visiting this site. It is scheduled to become a UNESCO World Heritage Site once they are finished removing (most) of the unexploded ordinance (UXO) from the American Secret War. That is probably several years away. From 1964 to 1973, the U.S. dropped more than two million tons of ordnance on Laos during 580,000 bombing missions—equal to a planeload of bombs every 8 minutes, 24-hours a day, for 9 years – making Laos the most heavily bombed country per capita in history. <source http://legaciesofwar.org/> Still, I would like to visit this unique prehistoric site. I read that Lao Airlines operates a puddle-jumper there out of Vientiane but could not find it on their website. At any rate I was not keen on returning to Vientiane. 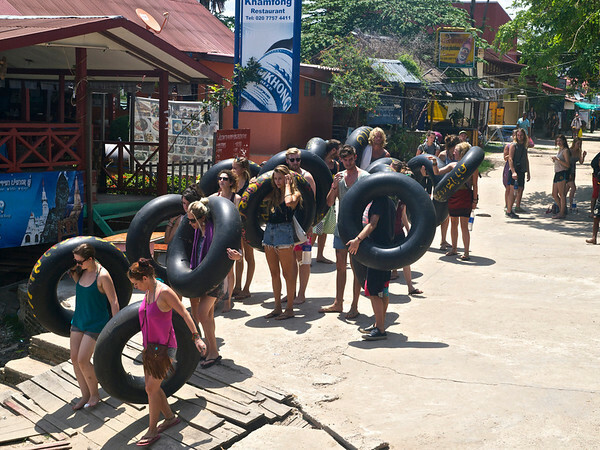 We also skipped Vang Vieng the so called adventure capital of Lao. The big draw there is to tube down the river stopping frequently at bars along the way to ingest large quantities of alcohol and drugs. Because so many deaths and debilitating injuries have occurred there over the years, primarily in the 18-35 year old backpacker segment, the government has shut down all but a few of the bars. At any rate, the more I read about it the less appealing it became. Instead, I found yet another direct flight from Luang Prabang to Pakse in the south. This one hour plane ride eliminated around 17-20 hours of bus travel-a no brainer for us. We settled into the Pakse Hotel for several nights enjoying fabulous dinners on the roof each evening. We found a great hole-in-the-wall cheap Thai place near the former palace for great lunches. Pakse Hotel has six or seven accommodation levels, all the way from super econo to mega suite. 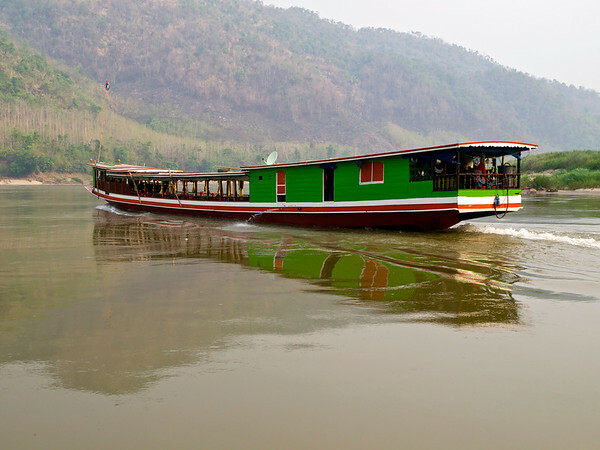 We booked a deluxe room and got a free low season upgrade to a Panorama Room with great views of the Mekong. Cost about $30 per night including breakfast and wifi. A great little spa across the street at $15 for a two hour massage filled things out nicely. People say don’t bother with Pakse but it worked really well for our style. I got a lot of writing, editing and photo uploading done there. 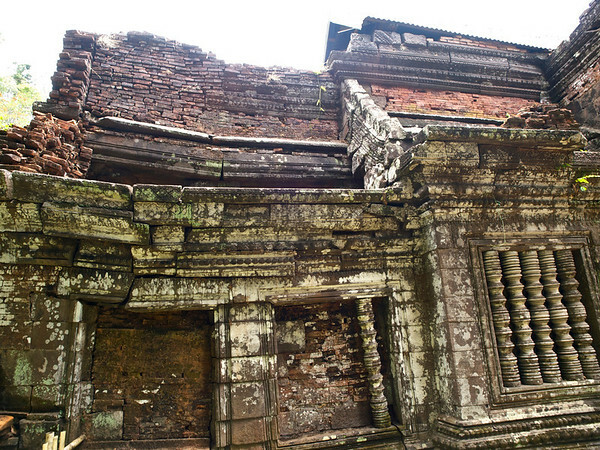 We did a day trip to UNESCO WHS Wat Phou. The total cost was $52 for two which included a tuk-tuk (1 hour each way) and two $12 VIP admission tickets. Next we had an easy travel by minivan and ferry to Don Det, one of the 4,000 Islands or Si Phan Don. We chilled for a few nights before returning to the Pakse Hotel for one night followed by a flight to Siem Reap, Cambodia. I would love to return to Lao, especially the north to do some more trekking and to visit the Plain of Jars. You can access all my Lao photo galleries from this page. Gorgeous photos Philip! We were sad to miss Laos when we were so close, but the world seems to just keep getting bigger! Thanks Jenny. We love love loved Laos. How was your trans-Pacific cruise? I am reading this at Mia Culpa. First off Carrie, take a couple of long slow breaths and feel the ease come back into your system. Seriously, thank you for your comment. Actually, since I broke my hand in Laos a year ago (see my post-Hit by a Pickup Truck in Laos) I am more cognizant than ever about being far away from decent medical treatment. For example, I did not do any somersaults into the waterfalls when I was in Luang Prabang (I would have some years ago). But as long as I am here on this earth, I will follow my heart and hopefully moderate with a good dose of common sense. Cheers! That would be an important consideration Carrie.